These days, it’s a rarity to find someone who’s not on Facebook … unless that someone happens to be a Fortune 500 CEO. A new analysis from CEO.com shows that the heads of the planet’s most powerful companies still view social media as a distraction, if not an outright liability. A full 61 percent have no social media presence at all. Even those who are on Twitter, Facebook or other networks rarely join the conversation. Consumer trends, meanwhile are mapping in exactly the opposite direction. Globally, more than 2 billion people are now on social media. 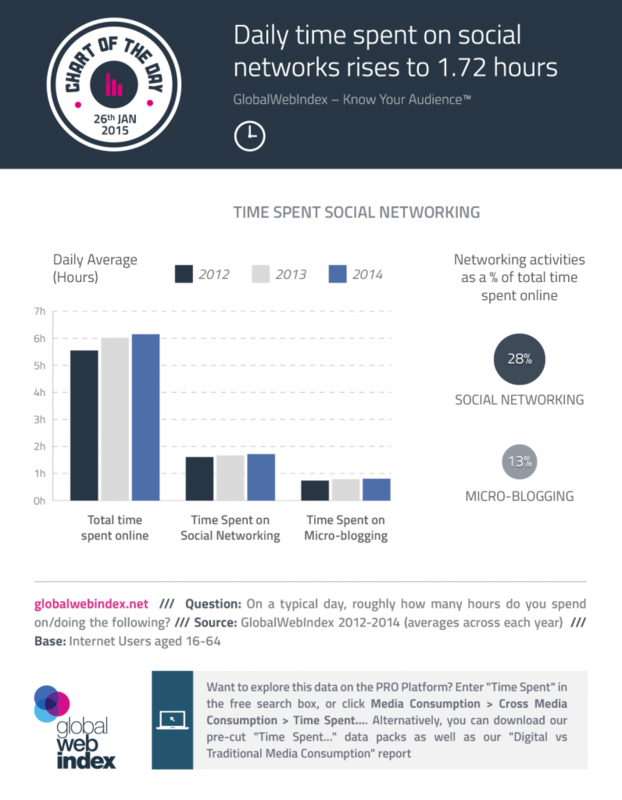 The average user spends nearly 2 hours a day on social platforms. Studies have shown that Millennials watch more YouTube than TV and three out of four consumers say social media impacts their buying decisions . For CEOs and leaders, this begs the question: Social media is where your customers are; shouldn’t you be there, too? Granted, change doesn’t come easily, especially at the top. For many executives, time - or lack thereof - is often the primary obstacle to social media use. This is compounded by the ROI question: perceptions linger of Twitter and Facebook as a place where people share breakfast photos, not a place where serious business can happen. Finally, there’s fear of screwing up. Executive gaffes can and have become the stuff of Internet infamy, from Tim Cook’s recent grainy Super Bowl pic to Kenneth Cole’s infamous riff on the Arab Spring. What’s rarely heard, however, is the other side of the argument: the benefits that can accrue to CEOs who use social media, even if they’re not posting actively. Social media, used right, can be an executive productivity tool, a global broadcast channel, a source of consumer and competitor intel and a PR vehicle. Yes, my perspective is informed by the fact that I run a social media management company . But, with hundreds of employees and more than 10 million users, I’m as busy as the next CEO and struggle with the same challenges of time and resources. Here’s my perspective from the front lines on the value of social media specifically to CEOs. Gaining visibility into customers. Each morning, I start my day by looking through a Twitter feed that I set up to monitor any mentions of Hootsuite. On a typical morning, I see plenty of raw, unfiltered commentary from users on what we’re doing right and, of course, what we’re doing wrong: requests for new features, complaints about the odd bug, product support questions, even the occasional high-five for a job well done. While this may not sound earth-shattering, getting insight like this used to require professional focus groups and analysis. Social media now gives CEOs a direct pipeline into what their customers are thinking and doing - in real time, with no spin from publicists or middle managers. Better still, this requires minimal time and effort. A minute of flipping through a Twitter stream, and I have my finger on the pulse of our customers. Building trust - both inside and outside the organization. The era of CEOs and leaders remaining aloof and in the shadows, never mixing with mere mortals, is dead. Today, building trust with customers and rapport with employees requires offering up a real, human face. Social media represents one of the most powerful ways for CEOs to do this, efficiently and at scale. T-Mobile’s CEO John Legere has mastered this - knowing exactly how to to leverage a little social effort to leave a big impression. When a random Twitter user shared praise about T-Mobile’s data plan (and regret about being locked into AT&T’s service), Legere deftly chimed in : “ … bet @ATT’s CEO isn’t going to join the convo. Come join the #WirelessRevolution! #Uncarrier.” In fewer than 140 characters, he showed customers that someone real was at the helm of the company and looking out for their interests. This Twitter exchange was in turn picked up by dozens of news outlets, evidence of T-Mobile’s progressive leadership. These perks reverberate internally, as well. When CEOs post on social media , nearly 70 percent of senior professionals report that it makes the company a more attractive place to work. Social media is a way to keep the lines of communication open with staff and compress the kind of corporate hierarchies that normally inhibit exchanges between CEOs and frontline employees. Again, the reward-to-effort ratio here is huge. Without ever calling a meeting or hosting a presentation, it’s possible to make an immediate connection with your team. Broadcasting to the world, on your schedule. Yes, social media is an intimate tool for real one-to-one dialogue. But it’s also an endlessly scalable platform for broadcasting messages to mass audiences. Want to share excitement over a new product with the world? A quick Facebook post makes a standard press release look arcane by comparison. And when these updates come from the CEO’s account, they carry an added layer of authority and gravitas, spreading the message even further. Case in point: When my own company was in a period of hyper-growth - adding hundreds of employees a year - we faced enormous challenges when it came to hiring. So we turned to social media. Using the hashtag #HootHire, we seeded news of an upcoming hiring fair on Facebook, Twitter, Instagram and LinkedIn, using my personal accounts and company accounts. The updates went viral and we ended up with thousands of candidates lined up at our door - incidentally, exactly the kind of tech- and social-savvy applicants we were looking for. Ultimately, however, the greatest motivator for CEOs to get on social media may be simple necessity. Social media represents a cultural shift, not just a technological one, and it’s making the leap to the workplace. $1.3 trillion in value stands to be unlocked by companies who figure out how to apply social technologies in the years ahead - not just as marketing tools, but in sales, customer service and internal communications. In the end, it’s very difficult for a CEO to guide this transformation without “getting” social media on some level. It’s worth noting that last year Barack Obama launched the first presidential Twitter account . If the U.S. Commander-in-Chief - with all the security risks and time constraints inherent in his role - has decided to make social media a priority and found a way to make it work, it may be time for CEOs to take a second look, too.